Can I send my invitation to a group email address? Yes! 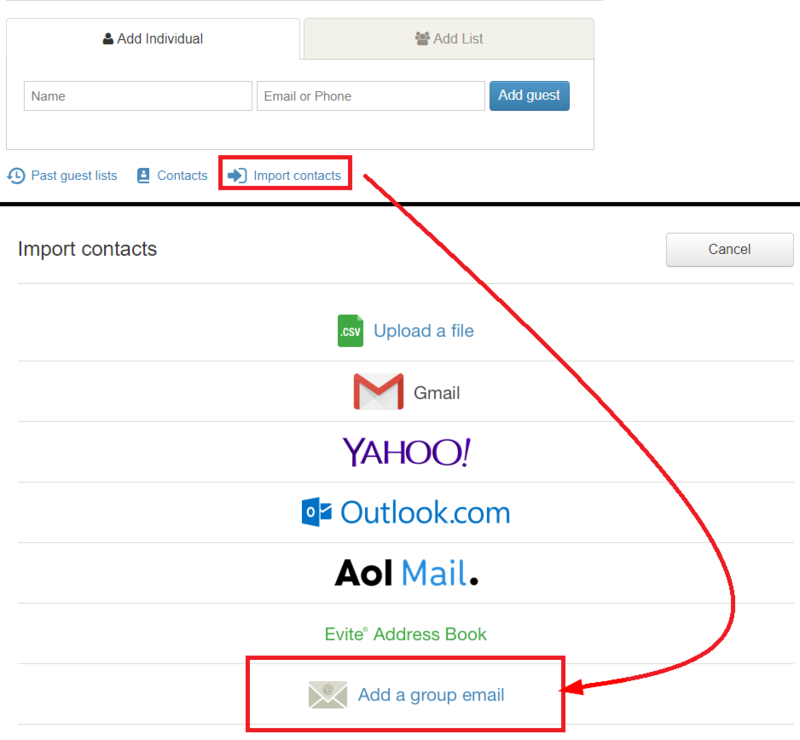 If you have a group email list, from the Add Guests page click the Import Contacts option and choose the Add a group email on the next page. From there, you can simply type in the group email address and click Add. A group email address, also known as a distribution list, is a single email address that goes to multiple people. It is important to make sure that your group email address can accept emails outside of the network it is one. Some group email addresses are private by default and you will need to work with your IT group to enable it to receive external emails. The "Add a group email" option is currently not available within the Punchbowl mobile app.